Catalyst Pallet Pavilion season finale! Yes, we've had a fine run at the Pallet Pavilion (2 out of 4 ain't bad?) 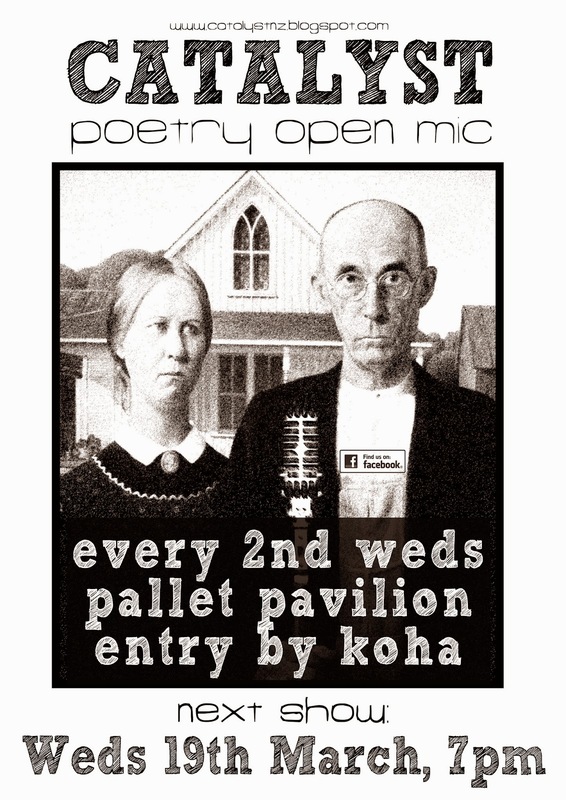 weather aside, we've loved hosting the open mics at their summer home of the Gap Filler Pallet Pavilion. Now it's the final week at the iconic pile of pallets as it prepares for deconstruction next week and we're part of a week long celebration of the best of the Pallet Pavilion. Note the early start time as we're double-billing with some live stand-up comedy for a bumper night of spoken word. Last chance to perform poetry at the Pallet Pavilion, bring yer stuff and your friends and come have a glass of wine with us.